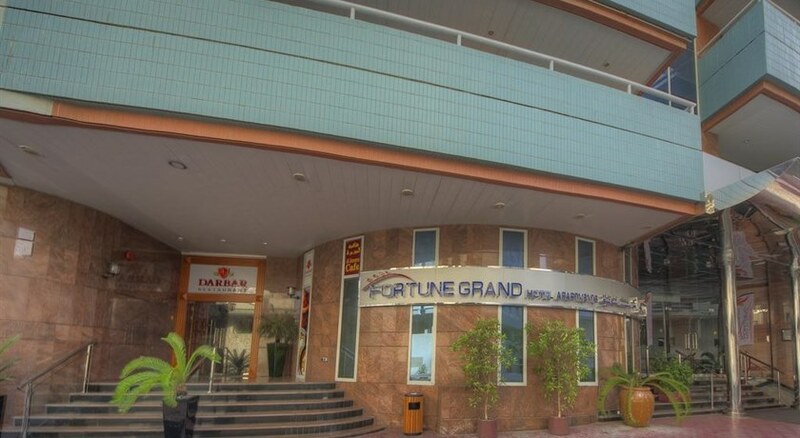 Welcome to the Fortune Grand Hotel & Apartments in Bur Dubai. To make your stay more comfortable air conditioning, a reception, a lobby, a conference room and shops are available. The staff in this 8 storey hotel speaks English. A swimming pool is available. The hotel is within easy reach of cinema, disco, shops, bus stops, tourist information, bars and restaurants and supermarkets. Vehicles may be parked in the parking lot. Just a 15-minute drive from Sheik Zayed Road and Dubai World Trade Centre, this luxurious hotel offers a rooftop swimming pool and a gym. 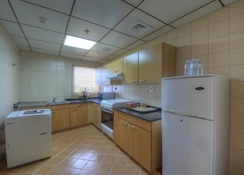 All air-conditioned accommodations have a kitchen and washing machine. Including free Wi-Fi and a private balcony, all studios and apartments at Fortune Grand Hotel are spaciously laid out and modern in style. Each offers a satellite LCD TV and a private bathroom. A breakfast buffet is available in Fortune Grand's restaurant, which is decorated with red chairs and wood panelling on the walls. A number of eateries can also be found within a 5-minute walk. For convenience the hotel offers laundry service, room service, babysitting, medical care and ironing service. This family friendly hotel offers babysitting service and a children's pool to ensure a comfortable stay for parents as well as young guests. 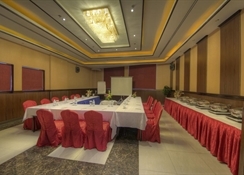 The Hotel offers a conference room. Reception hours: 24h Service. 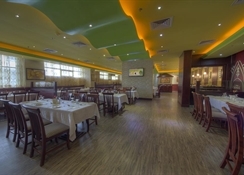 A breakfast buffet is available in Fortune Grand’s restaurant, which is decorated with red chairs and wood panelling on the walls. A number of eateries can also be found within a 5-minute walk. The luxurious Fortune Grand Hotel Apartments is a 15 minutes drive from the Dubai World Trade Centre. 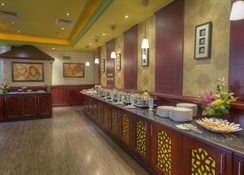 The hotel is 10 minutes walk from the Meena Bazaar and a 5-minute walk from the Al Ain Computer Centre. The airport is a mere 8 km from the hotel. The Al Fahidi metro station is at a walking distance of 0.2 km from the hotel.